BRANSON, Mo. (AP) – Authorities say four women were hurt after a passenger tram hit a tree at an entertainment venue in the southwest Missouri tourist town of Branson. 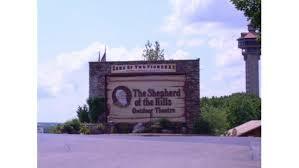 The Missouri State Highway Patrol says the crash happened Thursday at the Shepard of the Hills outdoor theater. The patrol says the tram was going downhill on a private path when the brakes locked up. The tram started skidding and ran off the roadway before striking a wooden fence and a tree. Three of the women suffered minor injuries and a third had moderate injuries. The women are from Oklahoma and Kansas. The patrol says the tram can carry up to 24 passengers.